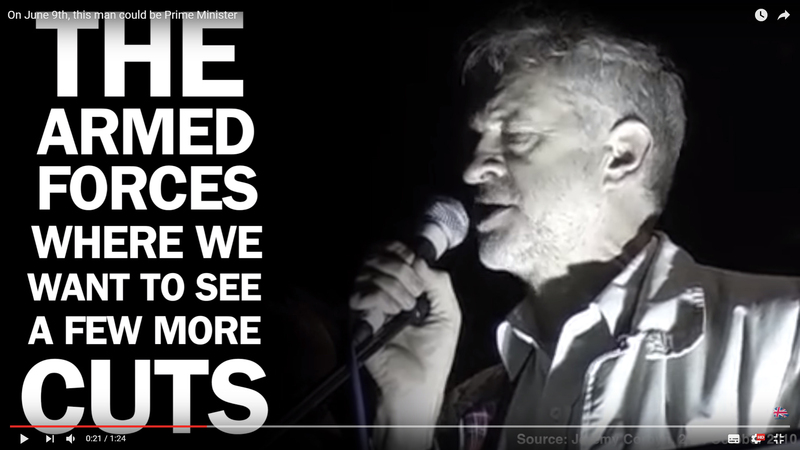 7 days ago the Conservative Party released a blistering attack on Corbyn’s record on defence and foreign policy; the video has now had over 6 million views on Facebook and YouTube alone. It’s a fantastic piece of attack advertising. The viewer is provoked, persuaded and left with a deeply unsettling feeling about the Labour leader. The video has certainly had some advertising money put behind it – WhoTargetsMe data shows the video has had a paid media push in marginal seats like Derby North – but given the number of views in such a short space of time, I suspect there is also a viral effect going on.